OK, so I am writing an article to tell you to be honest as a civil engineer. Well, if that point is not obvious, then I don’t know what it is. However, it’s not always easy to be truthful with your clients, especially for younger and less experienced civil engineering project managers. Let me share a story with you to make my point here. When I was assigned my first project to manage as a civil engineer, I was very excited. My company told me that I was in charge of everything on the project, including client correspondence. Well, John was very happy and thankful in the moment, but he wasn’t so happy the next day, because we didn’t have the plan ready for him. He got very upset, and I looked bad as did my boss and our company overall. As bad as it was, I learned a very valuable lesson about serving my clients as a civil engineer. I started taking that approach, and not only did I end up building a strong relationship with John but I built up many strong client relationships because people trusted me. My clients knew that I was going to give them the information they needed to make informed decisions on their civil engineering projects, and that’s ultimately what they want. Would you want someone to rush through a project they are spending thousands or millions of dollars on? So as a civil engineer, it’s not your job to always tell the client what he or she wants to hear. It’s your job to be honest and give them accurate information in a timely manner to help them to have successful civil engineering projects. 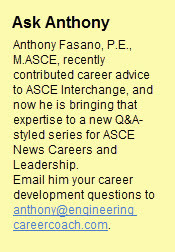 Anthony Fasano, P.E., M.ASCE, is the founder of the Engineering Career Coach website which has helped thousands of engineers develop their business and leadership skills. He hosts the Civil Engineering Podcast and has written a bestselling book for engineers, Engineer Your Own Success. 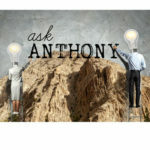 You can download a free video series on his website that will give you the tools needed to immediately improve your networking and communication skills. What’s Your One Big Civil Engineering Career Move in 2018? 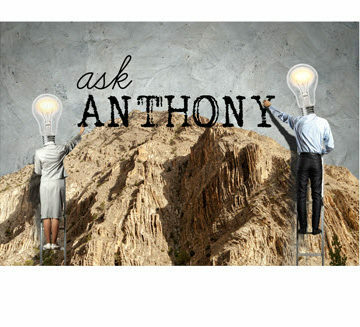 Ask Anthony: Where Can I Find a Mentor? Fantastic message in a short story, emphasizing the importance of honesty and credibility in Client/Consultant Relations.